Trump 'Not Thrilled' With Fed's Decision to Hike Interest Rates - Integration Through Media ....! 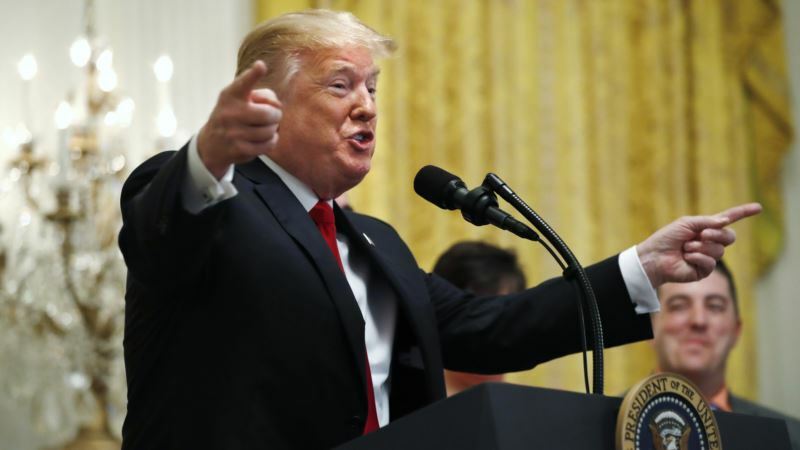 (VOA): U.S. President Donald Trump said Thursday that he was not pleased about the U.S. Federal Reserve's decision to increase interest rates. "I'm not thrilled," Trump said in a CNBC interview that aired Friday. His remarks followed two interest rate hikes this year and Fed suggestions of two more increases before the end of the year. "Because we go up and every time you go up, they want to raise rates again. I don't really — I am not happy about it," he said. "But at the same time, I'm letting them do what they feel is best." Presidents rarely intervene in developments involving the Fed, which sets the benchmark interest rate. Higher interest rates make it more expensive to borrow money, which slows economic activity. The rate hikes are intended to keep inflation from damaging the economy. Earlier, during a severe recession, the Fed slashed interest rates nearly to zero in a bid to boost economic growth. Trump expressed frustration in the interview that the central bank's actions could disrupt U.S. economic expansion. Trump sought to give the economy a boost when he signed into law a major tax cut late last year. The law cut the corporate rate from 35 percent to 21 percent and lowered taxes on individual incomes as well.